Lock in your BCA Expo rate by 6/27! Rooms are filling up quickly. Registration for exhibitors is now open! Be sure to lock in your spot on the show floor while space is still available. Join us in fabulous Las Vegas at the South Point Casino, Hotel and Convention Center, July 24-26! Secure your spot on the show floor today. Reserve your room at the South Point Casino, Hotel and Convention Center today! 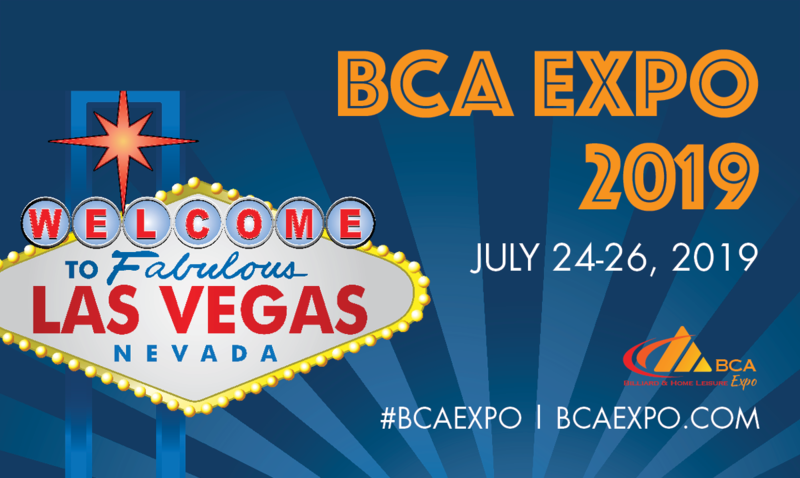 Check out the list of 2019 events at the BCA Expo and plan your agenda! Stay tuned for new networking events and parties to be made available at this year’s Expo. Schedule coming soon! Easy online registration for this important billiards industry event. The Billiard & Home Leisure Expo remains THE Expo for anyone looking for the latest products (billiards and barstools, cues, ping pong, shuffleboard, poker, casual furniture and more) and looking to seek out future trends in the Industry. Please click here to review the BCA’s Privacy Policies.